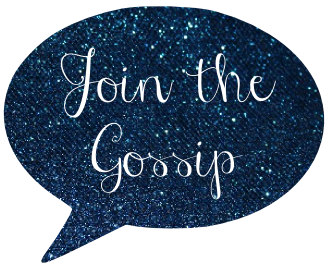 Join The Gossip: Lia Sophia Jewelry Giveaway! I want to introduce you to the darling designs of Lia Sophia jewelry! I recently attended my sorority's formal as an alum which required dressing up and it was the perfect opportunity to show off my beautiful pieces from the line. I'm wearing the Maiden Bracelet and Flamenco Earrings. I'm obsessed! The versatility of the earrings and bracelet make them perfect for fancy affairs or adding a pretty pop to casual looks. I'm all about jewelry that you can wear again and again, for multiple occasions. And I'm also all about giveaways...BOTH of these glam pieces are up for grabs! Giveaway open to US residents only, sorry! Contest ends next Tuesday, April 22. Good luck! Be sure to check out Lia Sophia jewelry. With a wide range of designs featuring everything from trendy baubles to classic styles, there is a little something for everyone. I am obsessed with that bracelet! It's so pretty! I would love to win this contest! Such beautiful things!!! This jewelry is beautiful. Thanks for linking up with Stylish Tuesday! Oooh, I love that bracelet! You look so cute for your formal! I LOVE lia sophia! Im entered to win! Love them both - hope I win! Hi Sophia, I am entering to win. I'm entering to win - fingers crossed! I'm entering to win! Really want that bracelet.